To accommodate this large gathering, many dharmasalas (free dormitories) are built around the temple. Atop the hill adjoining the Jeenmata temple is the temple of Harsh Bhairav Nath, reckoned as the brother of Jeenmata. 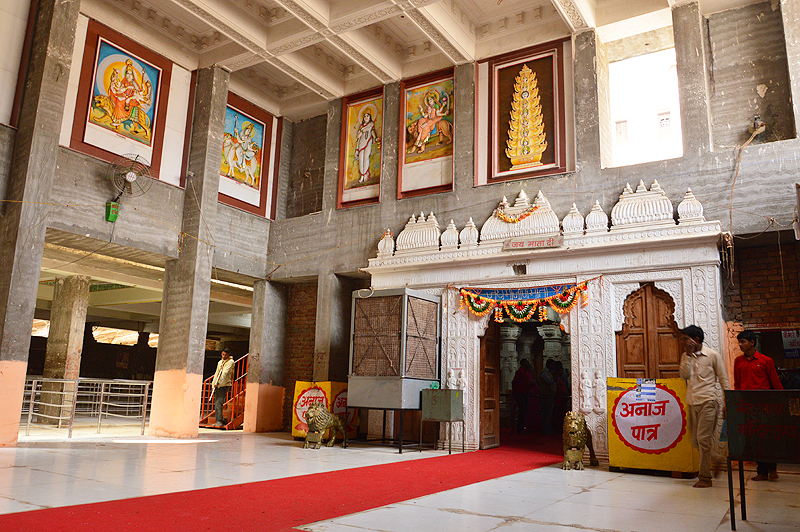 For tourists visiting during the busy days in April/October/November, a day trip is considered ideal since much of the modern day facilities necessary for a good night’s sleep may be absent around the temple. The temple is surrounded by thick forest cover which is another reason why a night halt at this location may be somewhat challenging. 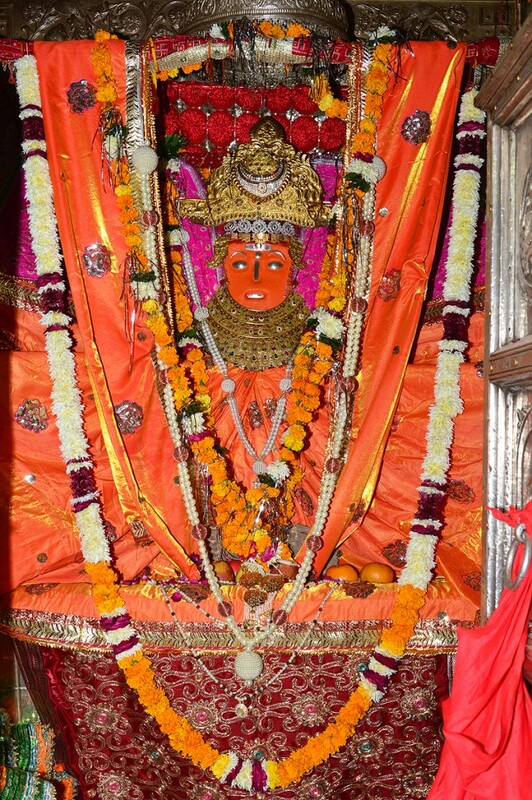 Jeenmata temple has attracted pilgrims for several hundred years now and it was also repaired/rebuilt a number of times. Folklore has it that King Ghangh of Chiru fell in love with an Apsara or nymph and married her on condition that he would visit her place only with prior information. The Apsara bore a son and daughter for the King and while the son was named as Harasha, the daughter was named Jeen. The Apsara conceived again, but this time the king broke his solemn vow and visited her without intimation. Instantly the Apsara deserted the king and fled with her son and daughter. The son and daughter were abandoned at the place where the Jeenmata temple stands now. These children are then supposed to have practiced extreme asceticism. The temple was built in later days by one of the Chauhan rulers. 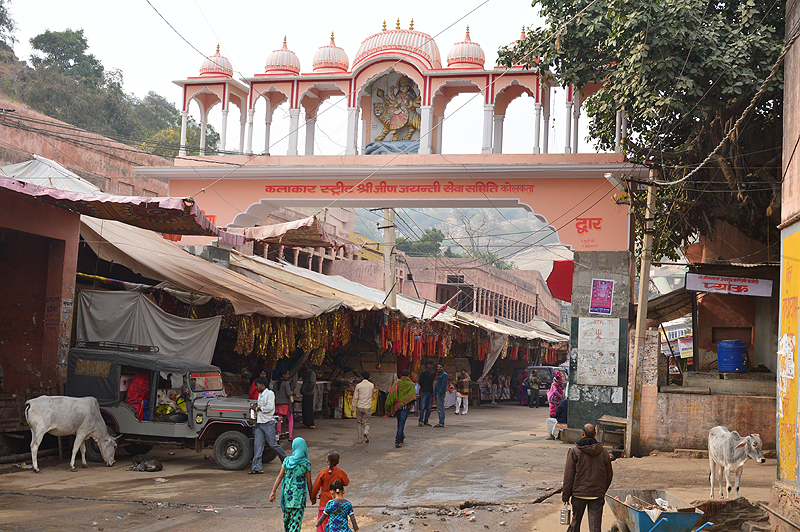 Devotees of Jeenmata come from nearly all denominations of the Hindu society in the region. Some of her followers migrated to Kolkatta, but keep visiting the temple at regular intervals. An interesting tradition that is followed in this temple even to date is that couple come here and pray for a male child in the family. They come back only when a male child is born and the prayer thus granted. Such visits are accompanied by the entire family and generous offerings including the first hair of the newborn are offered to the Goddess. Rajasthan is a state of sweets and savouries and true the tradition, the Goddess is also offered large baskets of sweets when devotees visit to thank her for answering their prayers. Aurangazeb, the Mugal Emperor at one point in time wanted to raze the Jeenmata Mandir to the ground. Ancient folklore has it that the angered Goddess unleashed her army of bhairons, which is species from the family of flies. The Emperor’s army and soldiers consequently were defeated and brought to the feet of the Goddess. He then craved for the mercy of the God. Aurangazeb also donated an Akhand deep or everglowing lamp from his palace in Delhi. Even to this date, the lamp continues to glow at the sacred sanctorum of the Goddess.